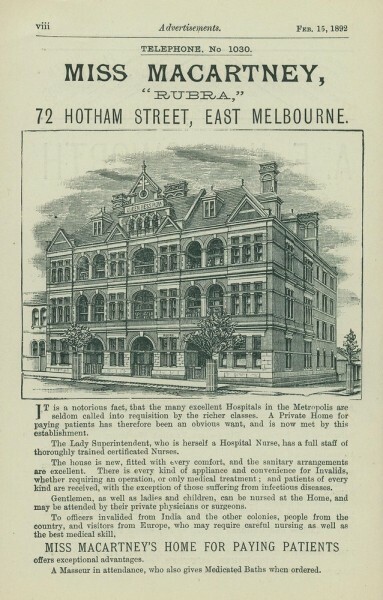 Advertisement which appeared in the Australian Medical Journal on Feb. 15, 1892.
kind are received, with the exception of those suffering from infectious diseases. may be attended by their private physicians or surgeons. 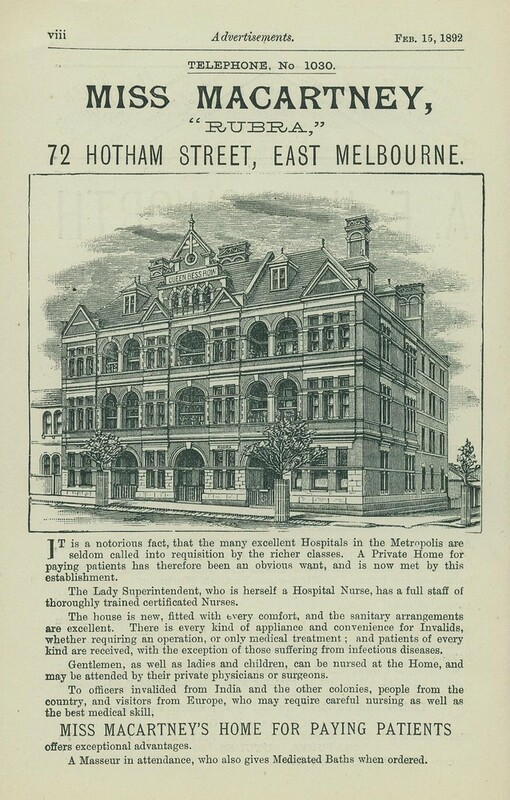 A Masseur in attendance, who also gives Medicated Baths when ordered."